My Dream Trip to Singapore.. - The Other Brain Inc.
My Dream Trip to Singapore.. I am traveler at heart and reveler by choice. So when I saw pics of my friend’s recent trip to Singapore, the Columbus in me bounced back. That night I saw a dream about winning a jackpot of Rs. 1 Lakh. 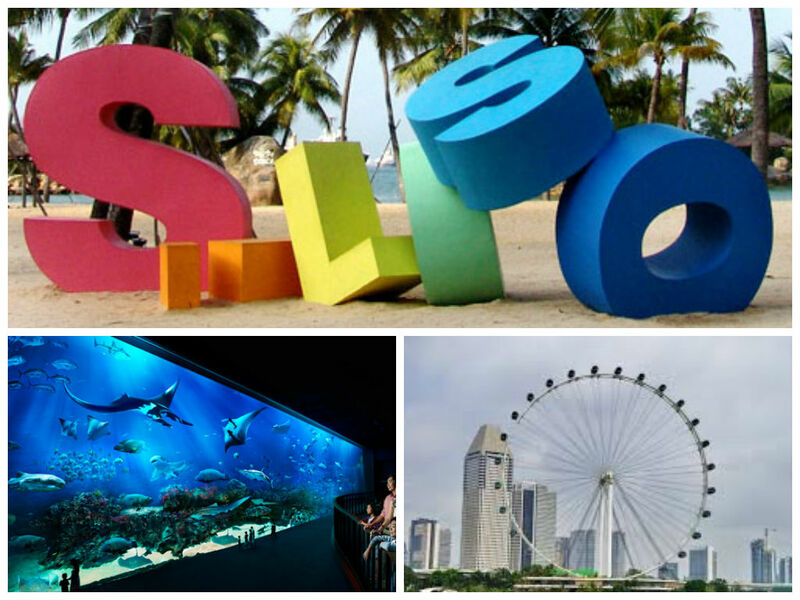 I had always wanted to go on a holiday to Singapore with my dear husband and this jackpot gave us the apt chance. This is when a genius travel wizard, ‘Skyscanner’ almost magically came to our rescue out from internet. He told us that he knew about the best air ticket prices for travelling there and return. He pulled out his laptop and almost instantly showed 265 flight results with the most affordable rates at the top. Through this we easily booked our return flight tickets from Delhi at just Rs. 27075 per person. Then he asked us where we would be living in Singapore for which we had no answer. He offered his help in this too. He started to ask us few basic questions about our hotel preference. Whether we wanted to have a five star, four star or a three star hotel accommodation? At what location we wanted the hotel to be situated, other facilities etc.? We gladly replied to all queries of this fairy Godmother in disguise. 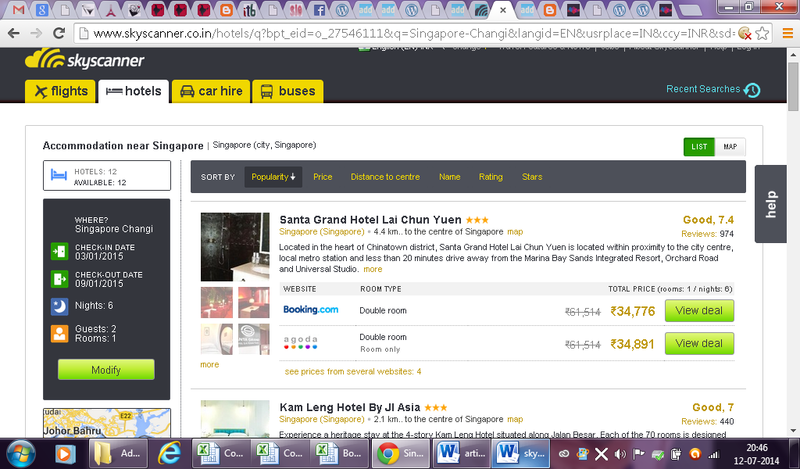 He then showed us the brightest of the hotels fitting in our budget and preferences with complete details like customer reviews, photos, ratings etc. He asked us to make sure everything was as per our choice which we agreed upon. He navigated to a site where we easily booked the hotel room for six days in a meager amount of Rs. 34776. We both were so glad that due to ‘Skyscanner’, our travel wizard friend, out of the one lakh rupees I had won, we had managed to save some bit of money too! He came to drop us at airport but then it was time for us to say good bye to him and proceed for our holiday. It was a picturesque flight with some great views of the pristine blue water and small islands. We visited a lot of amazing places in this trip of ours. We visited Marina Bay Sands, the iconic Singaporean statue of Merlion and Singapore Flyer that gives a 360 degree view of Singapore. 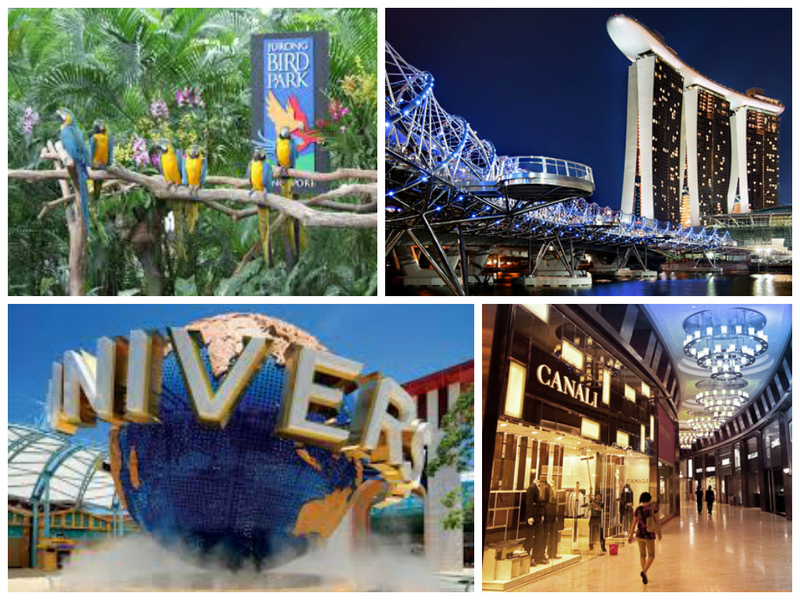 For fun activities we visited Resort World Sentosa, Universal Studios, Marine Life park and Jurong Bird Park. We had few laid back mornings with a stroll in lush green gardens and few block buster nights, when we danced all night in discos. Apart from this being a water baby, especially I enjoyed a lot in the clear blue waters and clean beaches. We went to islands like Sentosa and Pulau Hantu etc. The thing that stopped me from hopping from one place to another during the visit was awesome food in varied cuisines. Being sea food lovers we tried many gourmet delicacies. Sometimes we even got hold of an Indian restaurant and ate there. After all eating Indian food in a foreign land gives you extra pleasure and patriotism what to say about that! Shopping for me has always been a pleasure and pain for my husband. So in Singapore we experienced mixed feeling. 😉 In this sweet little destination dream of mine I shopped a lot from China town, Little India & few malls also. Lastly it was time for us to leave this beautiful Little Red Dot and come back home. I remembered and once again thanked my magical travel wizard friend, ‘Skyscanner’ for the amazing flight bookings and comfortable hotel bookings without which our trip could have easily been spoiled. When I woke up in the mornings I was happy thinking of the fabulous travel dream trip and narrated it to my husband.Then silently made a wish, if only I could fulfill this list. 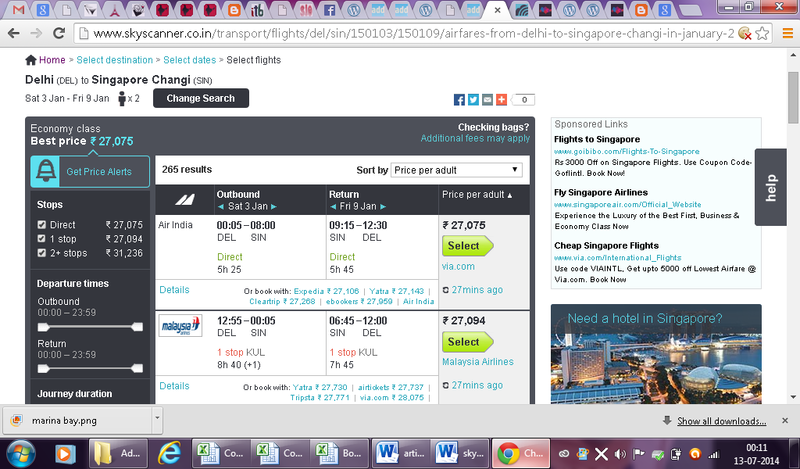 Skyscanner my magical friend, if only you were truly there, then take me there, take me there! 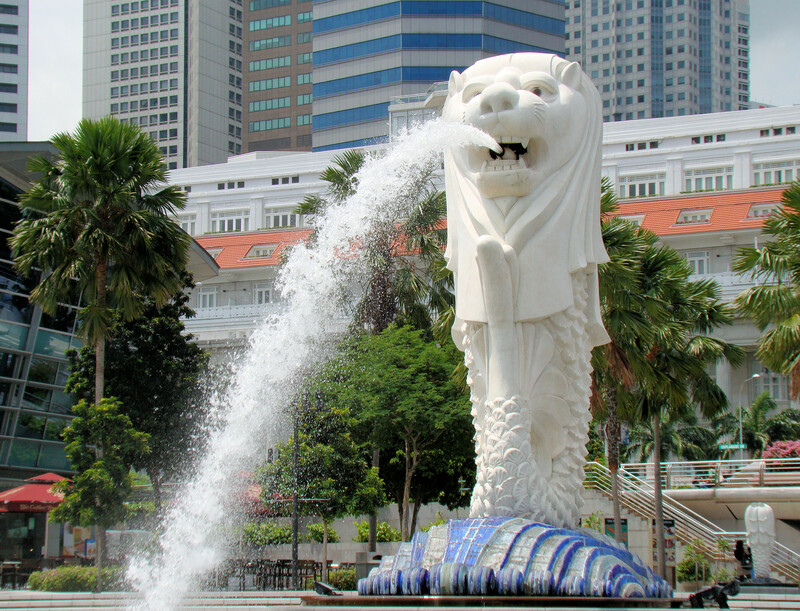 singapore is beautiful , I would go there anytime i got a chance ..